"Forecasters predict this may be a storm unlike one we've seen in many years," said Washington Gov. Jay Inslee said as he declared a state of emergency. 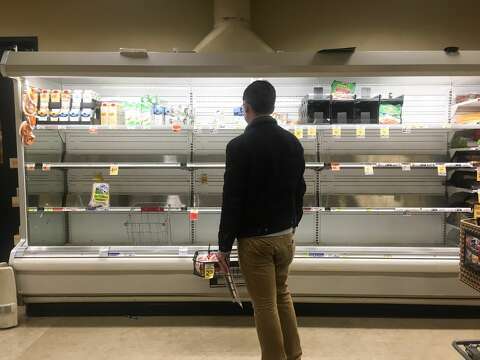 — A winter storm pounded Washington state, forcing the cancellation of flights in Seattle as officials worked to get people off the streets and into shelters during the nation's latest bout with winter weather. Gov. 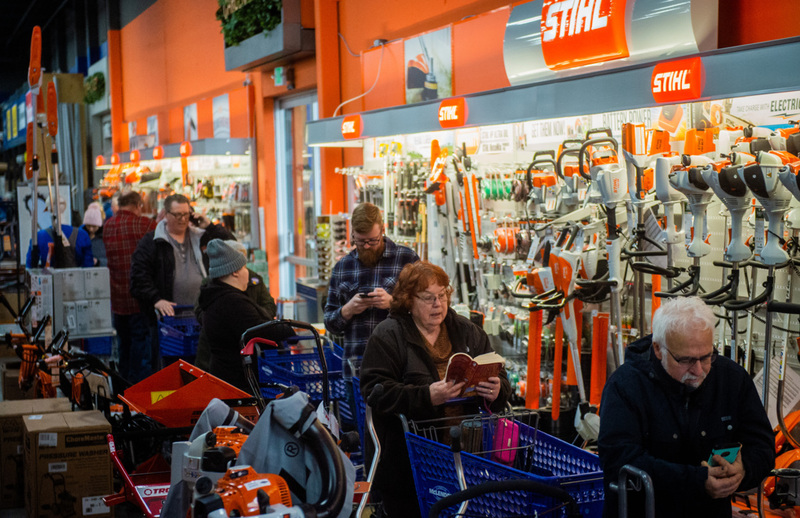 Jay Inslee declared a state of emergency for the state of Washington, saying everyone in the state should focus on staying safe, as a winter storm warning went into effect from Friday until Saturday at 4 p.m. PST. Some areas around Seattle recieved more than 10 inches of snow Saturday, the most in 70 years, the National Weather Service said, and more is on the way two more storm systems close in on the area. The National Weather Service said the first storm system is expected to arrive in the area Sunday night with light accumulation, and the second system will push through Monday and continue into Tuesday. Meanwhile, cold temperatures are expected in the region overnight Saturday, with temperatures dropping to 15-20 degrees and the wind chill in the single digits. Friday was something else in Seattle. I went to work from 0900-1400. The earliest train departed at 1430, otherwise I'd left sooner. 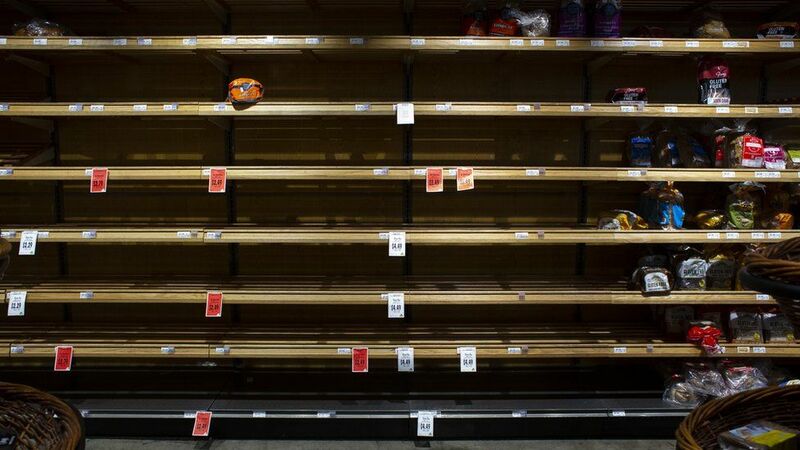 The urban dwellers fled at noon, and stopped by Whole Foods only to find bare shelves. People were grabbing random exotic produce out of desperation. Ayup. Seems to be a common scene, somewhere, just about every year now. We only have a 3-day supply of groceries in this country, as well as 3 days for gasoline. Snow may have fallen at the lowest elevation ever observed in the state. People were grabbing random exotic produce out of desperation. Thanks for the laugh. We're semi-stranded at home. A wonderful neighbor with a big tractor plowed our private road all the way to our driveway, so we could probably escape if necessary. 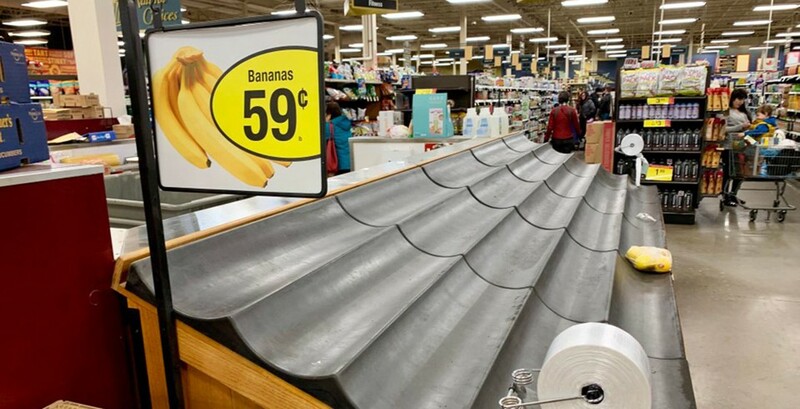 I almost did a grocery and tractor-repair-tools run today, but the incident reports I've been hearing on the scanner radio made me change my mind. So we'll be here a few more days. I called and hired a snowplower who might get here Wednesday, except that his snowplow is currently stuck in the snow. Glad to hear you are ok Mr. Bill. That is a crazy storm. Now it's upper Midwest's and Northeast's turn. It's raining and melting in the metro Puget Sound area today. It has been raining for eight days in Southern Indiana. 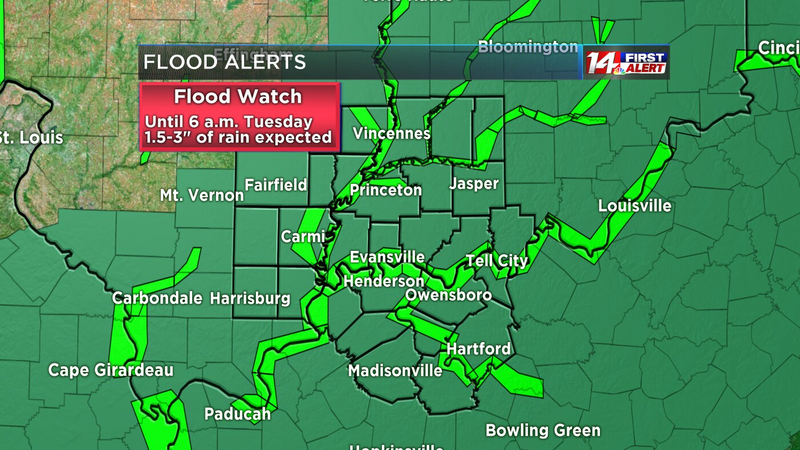 Once Northern snow melt gets here, Indiana, Illinois, Missouri, Ohio, and Kentucky will be in severe flood stage. Considering moving to Williamstown, Kentucky to be near the ultimate water bug out vehicle. We're in MO., and already saturated from the ice melting and rain for the last 2 days. St. Louis, Evansville, and Louisville already closing roads and none are even near peak yet. So we will already be at flood stage when Spring showers start. I just hope Mississippi and Louisiana are ready because we cant slow this flow this down. it is too much water for us to hold back. Well whatever's going on snow wise has hit us too. No school again today and the Anoka Hennepin district is starting to talk "how many" days into summer break they will have to go. As far as winter weather goes Minneapolis does about as well as possible. But when the snowpack is reported in feet there's just so much you can do. We have the plows, the front end loaders and the trucks to remove snow and still it's a problem. Well what can I say but stay warm. I've got no experience with weather like that. Son was talking with friends in Seattle. They were freaking out because they couldn't get to a grocery store. He just moved back to Houston from there. Said he was really glad he did. It's been fun. In the foothills there's still lots of snow. (15 miles east of Seattle). We are sending it South. Now hitting Tennessee too. Get ready far south...it is coming. That's a large line of storms. The southern end is even affecting the Houston, TX area and a little more south. We hit a state record for February. We're at just over 30" and forecast for more. Luckily it's come in a few big chunks so life hasn't been severely disrupted but it'll be another spring where I bend the mailbox straight after the plow covered it and bent it crooked. Also worth saying that we handle it better than most. We have the plows and tractors and whatnot and it's probably better to live through 8" (that was yesterday) here than 4" in most of the country. Something to be said for the disaster you've planned for. Even in Eastern Kentucky any amount of rain leads to flash flooding as ground is so saturated. Hope the area doesnt get another big storm in next week. Strange that accuweather is only media actively putting out the warning for people to prepare. Strange, yes. Our state/local, we haven't heard a peep, or we've missed it. Las Vegas gets first significant snow for years after rare winter storm. 20+ years ago it snowed while I was in Las Vegas. I remember my wife was wearing sandals and I had a beater dodge hatchback with bald tires. Minor miracle we didn't die. Oh I remember those day. Back in Kansas it would snow and fill the back roads, fence row to fence row on each side of the road. Sometimes to the top of the fence. And drift......my goodness that wind. We spent more time digging a drift out (high centered) from under our 4-wheel drive pickup than driving sometimes. Yea it was fun too. Yeah but what does snow have to do with liver failure? I have a loose connection to a Vegas native. He says the rare snows are a disaster. It's a city that attracts a lot of immigration from around the country. So you get a mix of northerners who drive like its no big deal because it's like home and the local "desert people" who really slow down. The stereotype is that the guy from Chicago is weaving doing 75 and the guy from LA is doing 20 with hazards on. My dad has a funny anecdote about being pulled over by Tennessee state police for driving during a blizzard. The officer looked at his license and handed it back to him saying, "You're from Wisconsin. You'll be fine."